Safilo has been designing, manufacturing and distributing high-quality prescription frames, sunglasses and sports eyewear for over 75 years. 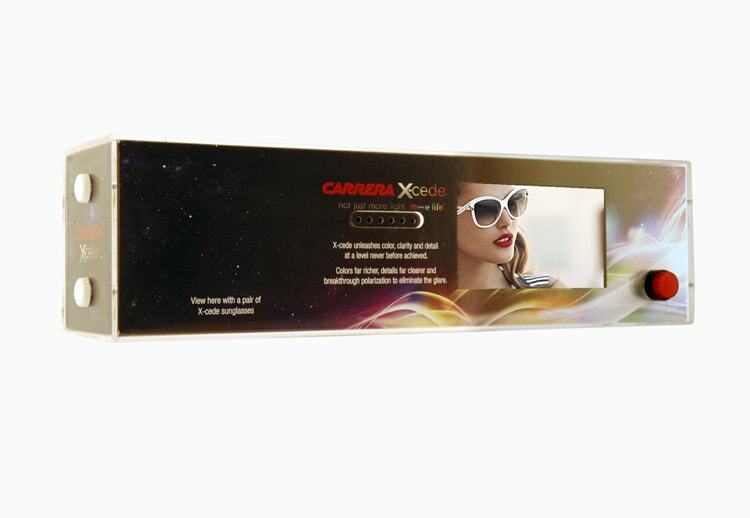 For the launch of the new Carrera sunglasses, Safilo wanted to create a shelf talker that would gain attention quickly in a busy retail setting. 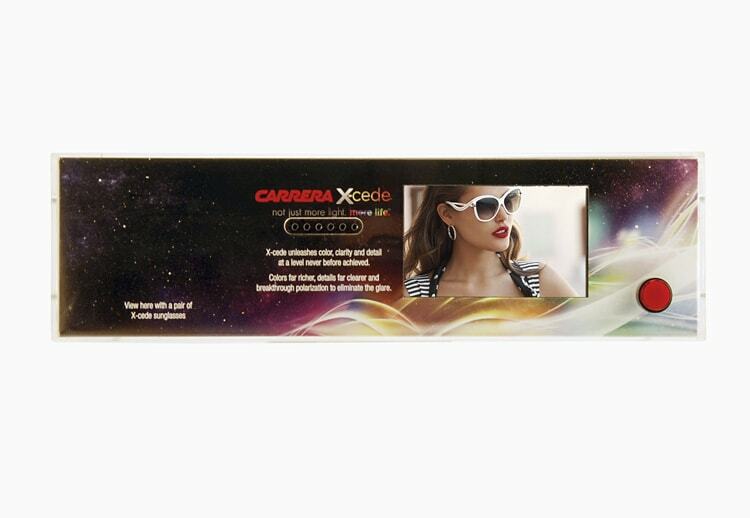 Americhip worked with Safilo to design a video shelf talker that highlights the new product’s features and customer testimonials. 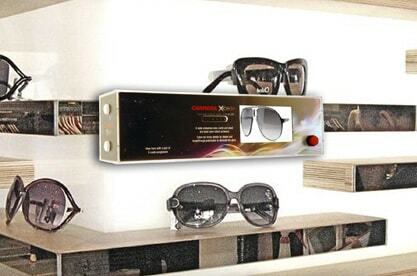 Americhip’s video shelf talker entices the shopper to reach out, touch the box, press the red button and see the story at eye level. Grabbing the consumer’s attention or engaging them is half the battle. Studies have shown that over 40% of buying decisions and over 50% of brand switching takes place at the store shelf, so high quality shelf talkers should be a priority for businesses looking to increase sales. Americhip's cutting-edge design is an innovative option to enhance the shopper experience by further engaging, edu- cating, and interacting with the consumer. Americhip’s dedication to product quality, smart engineering, and a continual commitment to customer service excellence is second to none.